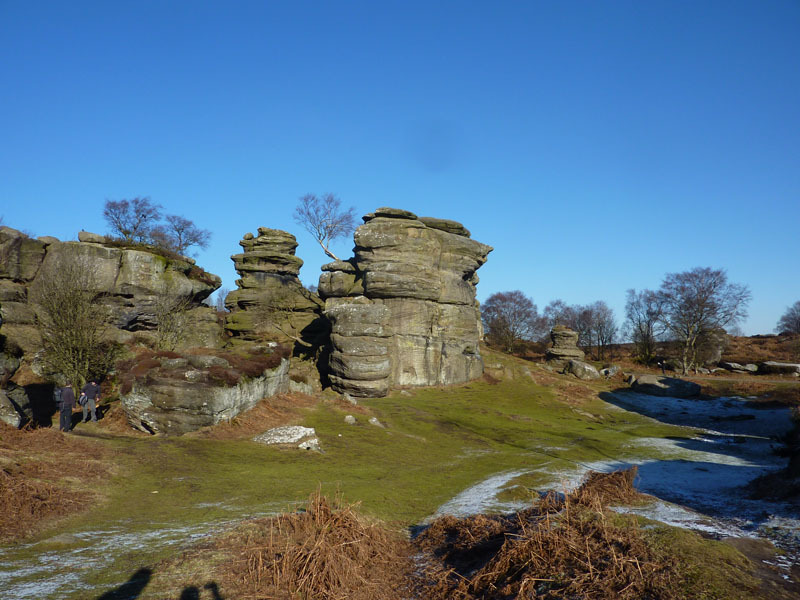 A walk from Dacre Banks to Brimham Rocks and Glasshouses. 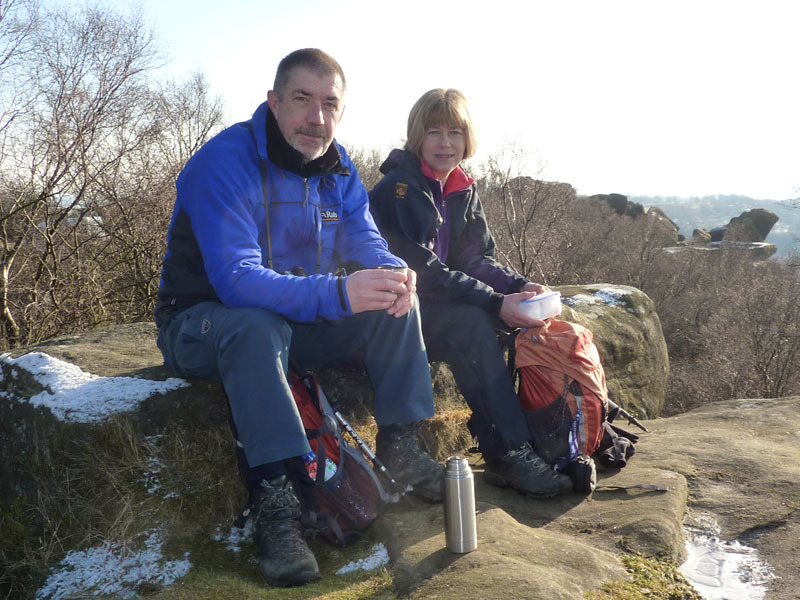 David Dimmock and Jo Hall joined me on this hastily arranged walk. 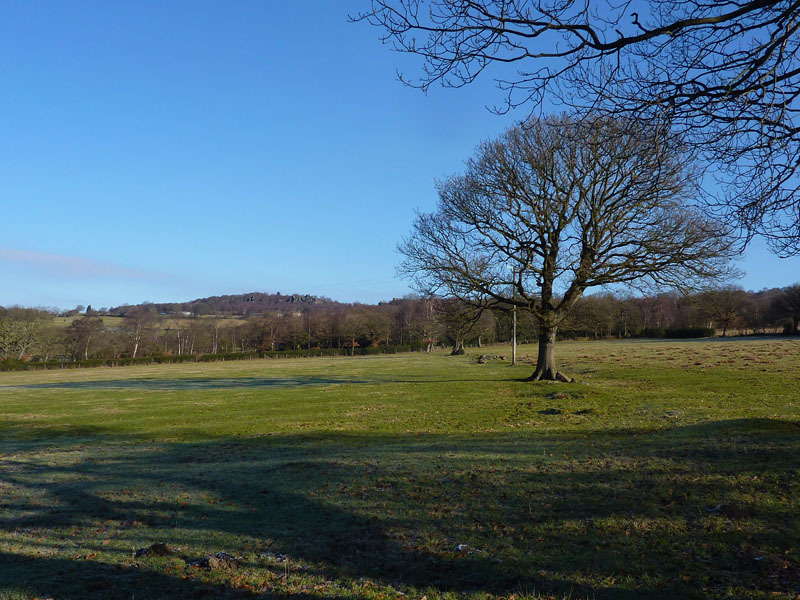 I picked up DD at Crosshills on the way through and JH travelled from north-east of York. 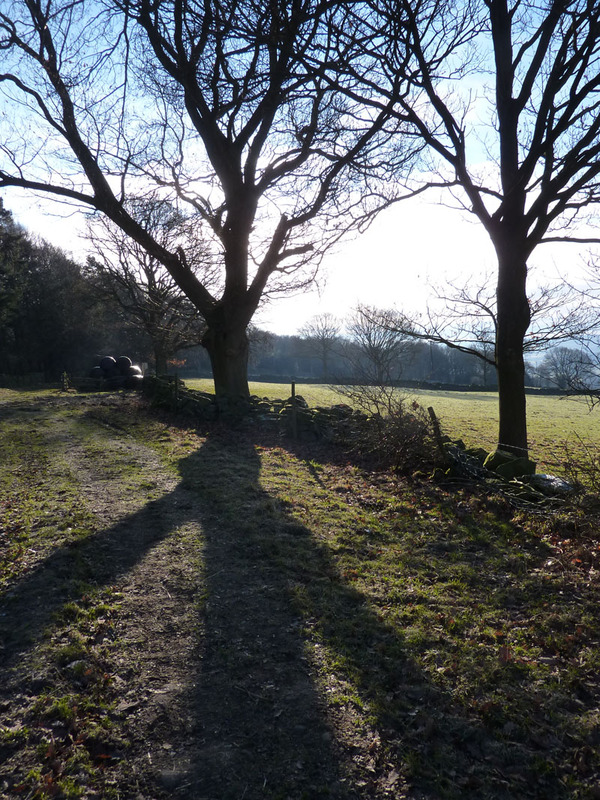 We parked in Dacre Banks and walked through Summerbridge and up to Old Spring Wood. 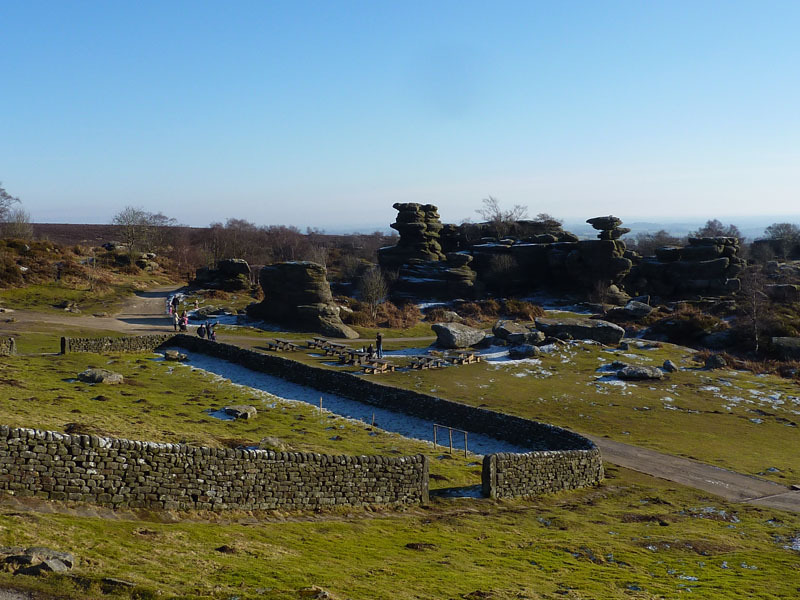 It's a zig-zag route up to Brimham Rocks. 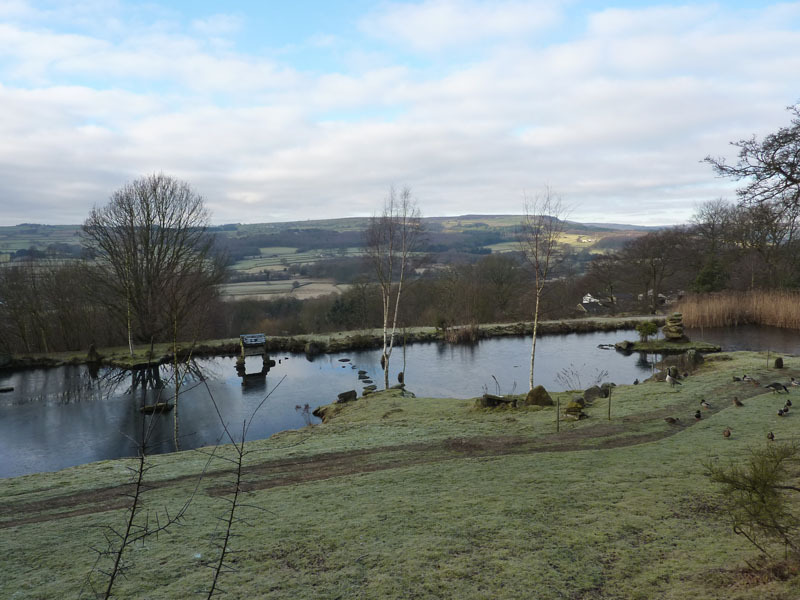 This pond, home to ducks and geese overlooks Nidderdale. We had a good walk around and then stopped for a bite to eat. 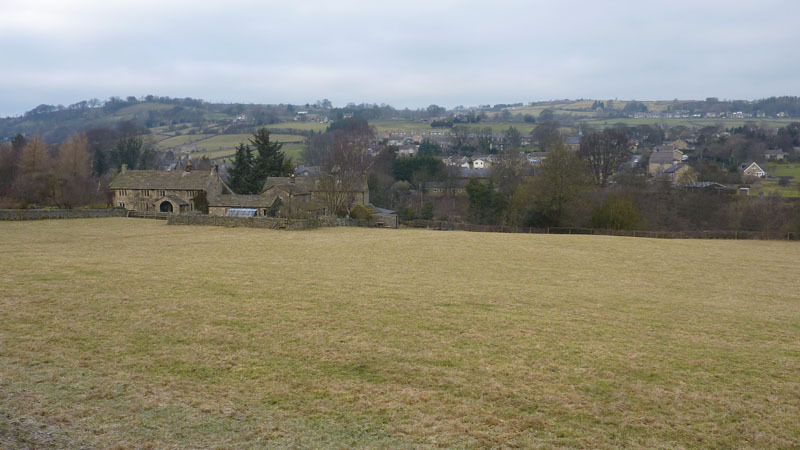 Our plan was to plot a route to Pateley Bridge. The path met with an un-bridged stream, so we followed the stream down to the next crossing point and aimed for Glasshouses, a slightly different route. 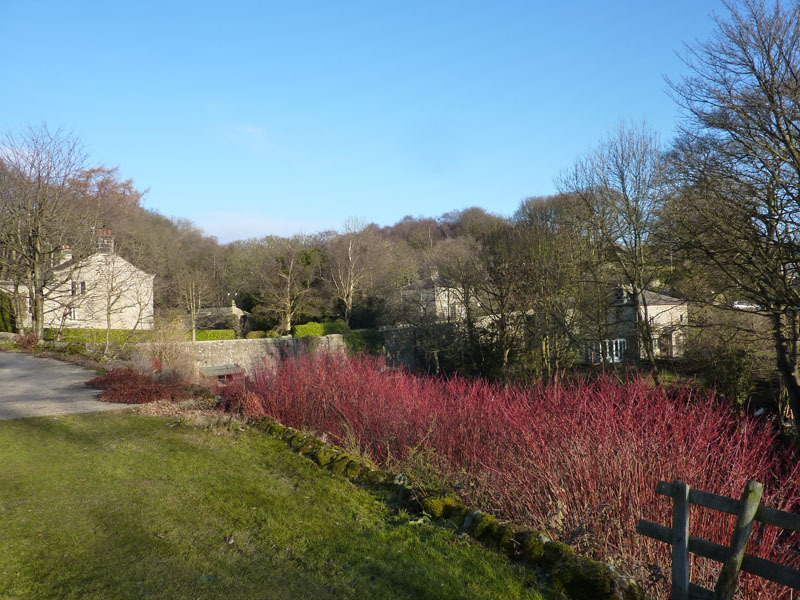 This variation led us to the hamlet of Smelthouses and we've decided to follow the path down to the river and see if time will allow us to get as far as Pateley Bridge. 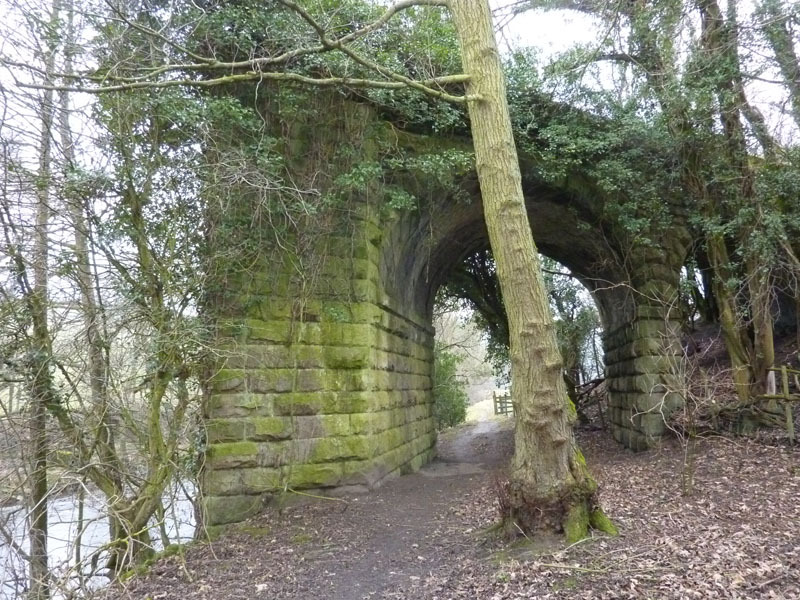 Over the river and up towards Harewell Hall, crossing an old railway bed. 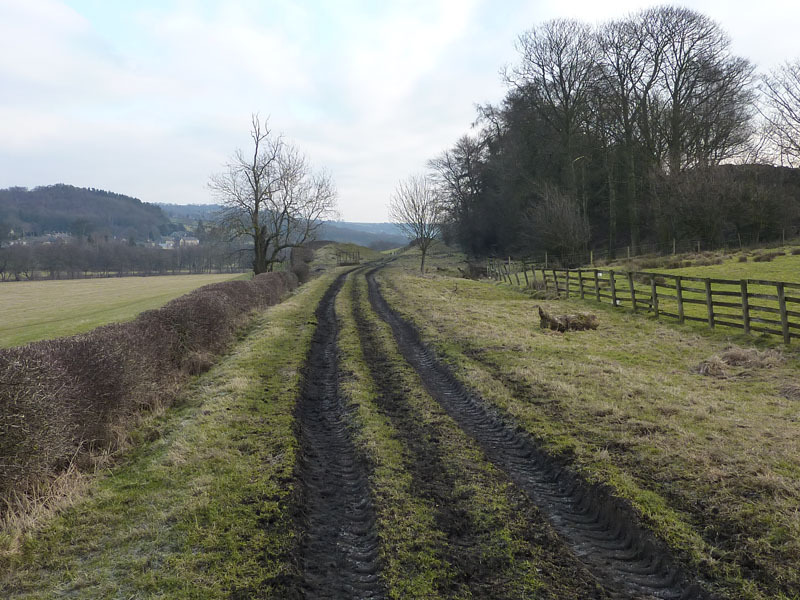 These tracks are not those of railway operations, but trains used to run here from Harrogate to Pateley Bridge. Line closed in 1964. 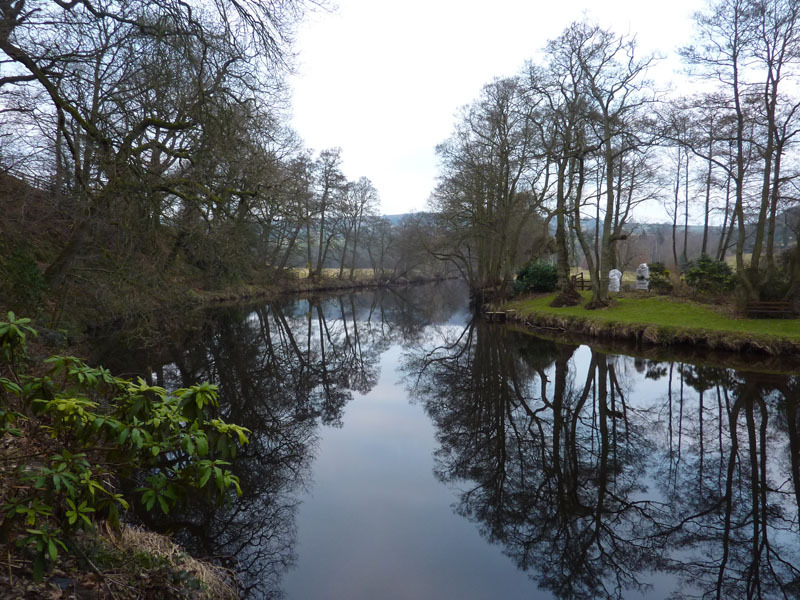 The view across to Glasshouses, a village on the Nidd. 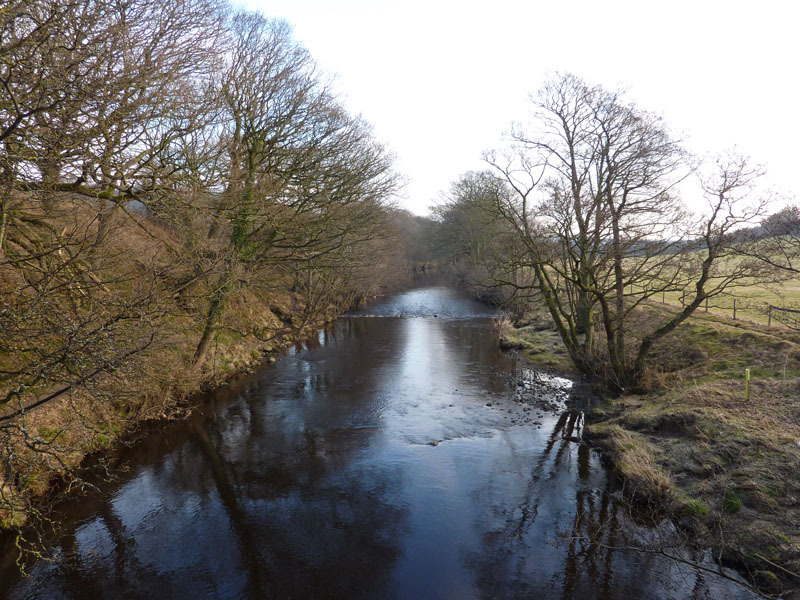 Here we had a think and decided not to go as far as Pateley Bridge, preferring to return down the river on the other side. You may have noticed that the sun has disappeared behind the clouds. 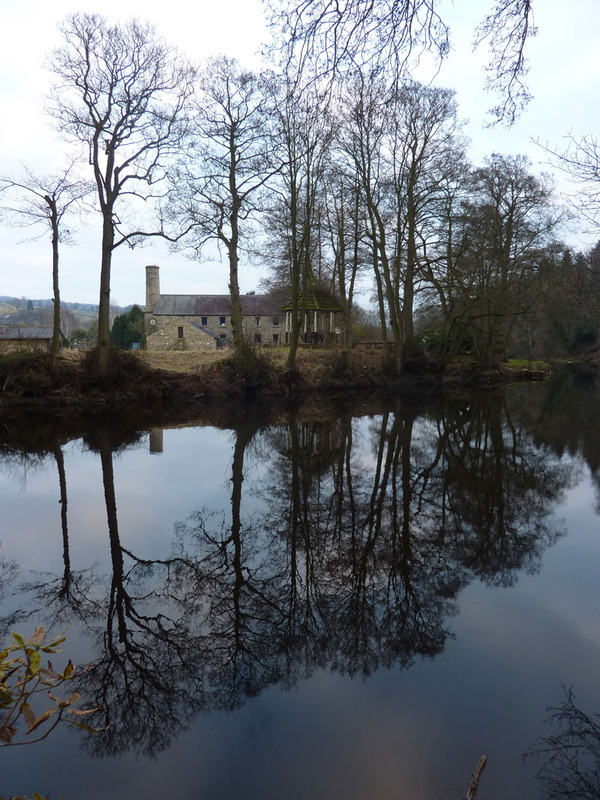 At this point, down the lane from Low Laithe, the river meets a weir. 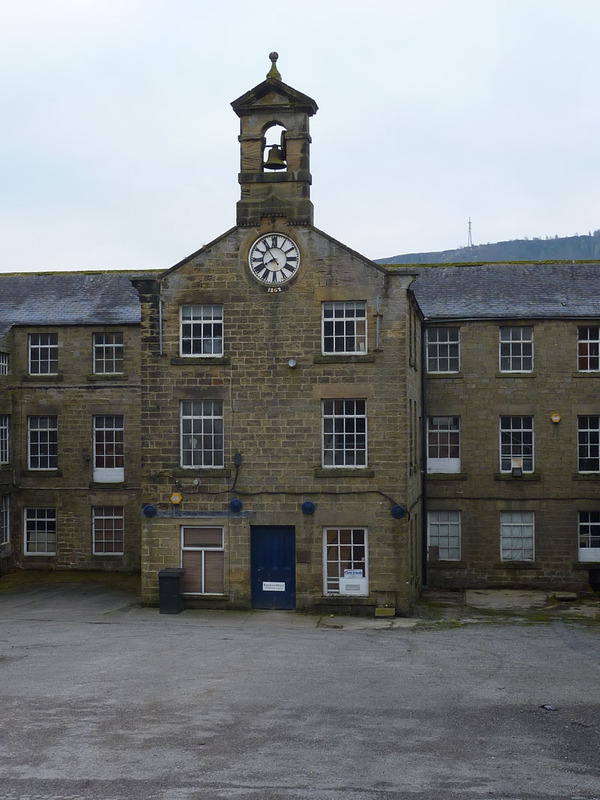 This would have been functional for the mill which is now one or more private residences. 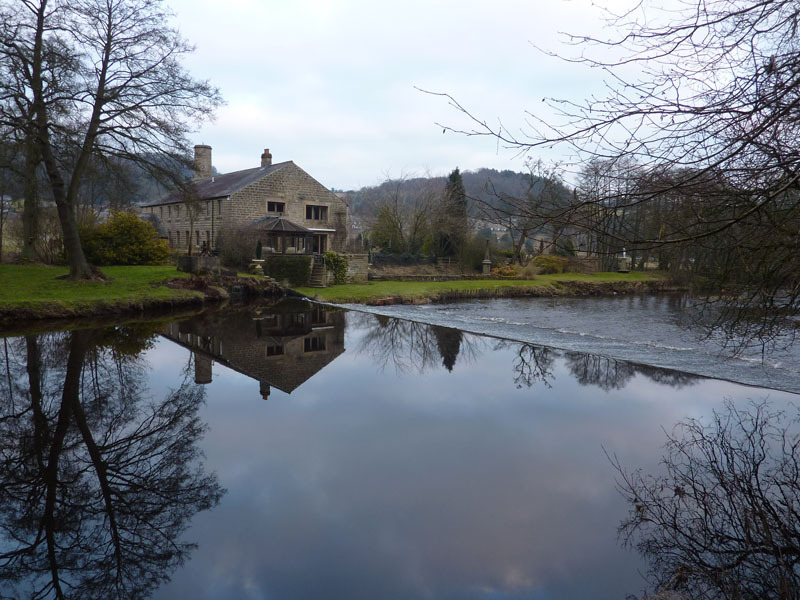 Nowadays, the weir serves to dam the river and offer photographic opportunities. 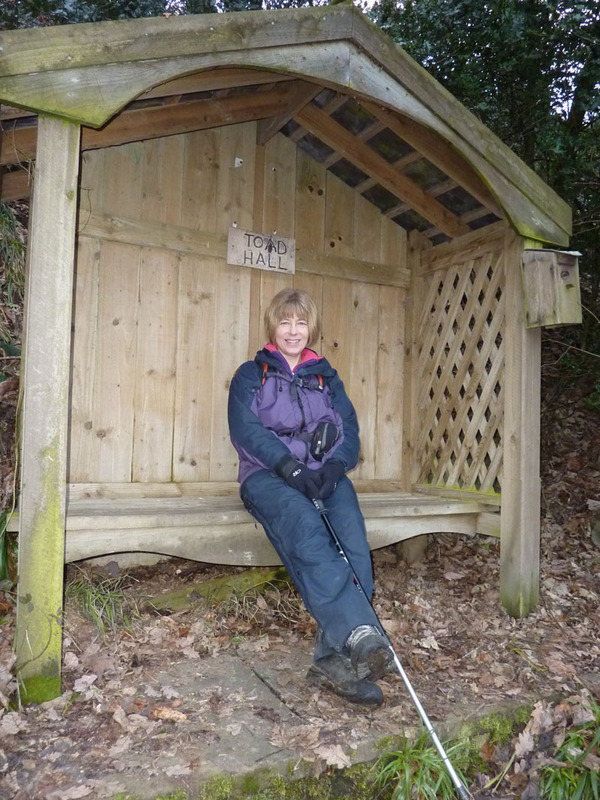 Ratty and Mole went walking in the Wild Wood and found Jo taking a short rest, overlooking the river. Parking is where I'm stood. 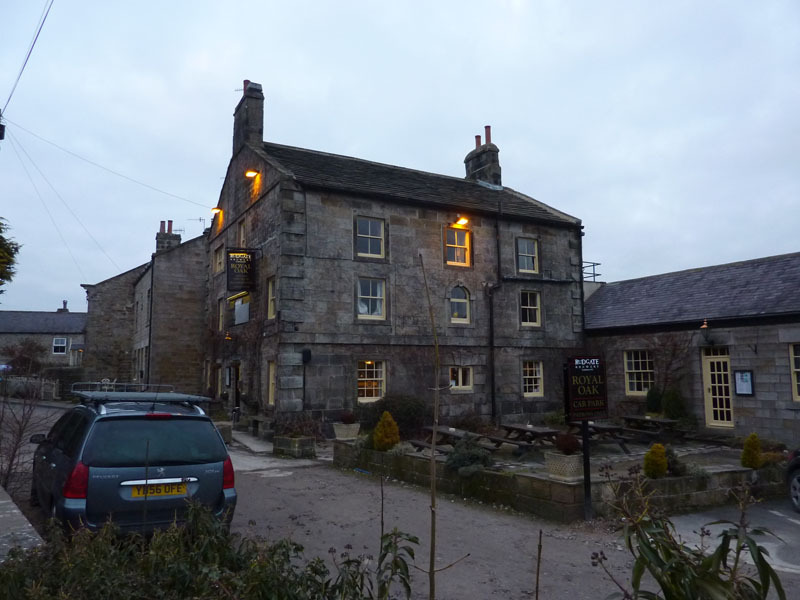 The pub is the only refreshment opportunity we could find in Dacre Banks (the shop serves hot drinks earlier in the day). Time taken: 5hr and 50 minutes over about 7 miles. 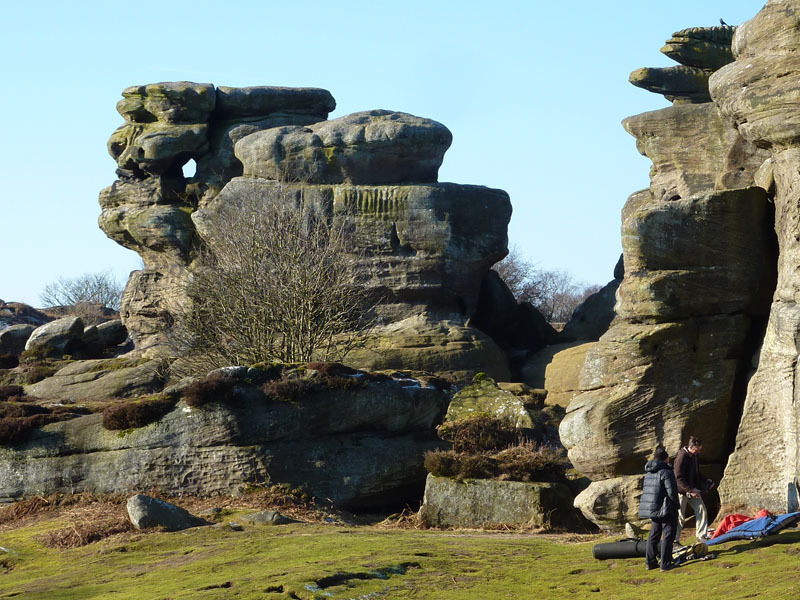 Dwell time at Brimham Rocks and Glasshouses. 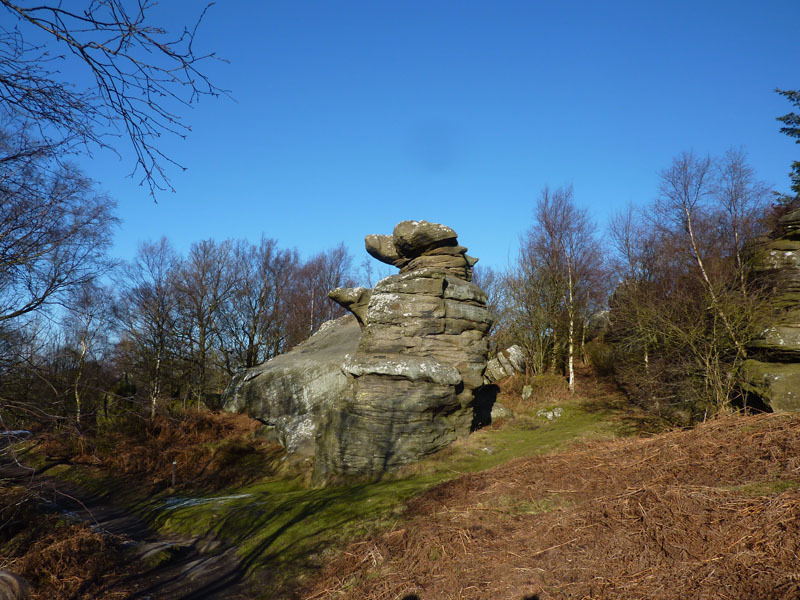 Route: Dacre Banks, Summerbridge, Old Spring Wood, Braisty Wood, High Wood Farm, Brimham Rocks, woods, Smelthouses, Low Laithe, River Nidd to Glasshouses via Harewell Hall, back along the north / east side of the river, changing to the west bank near Harewell Hall and following the old trackbed back to Dacre Banks. 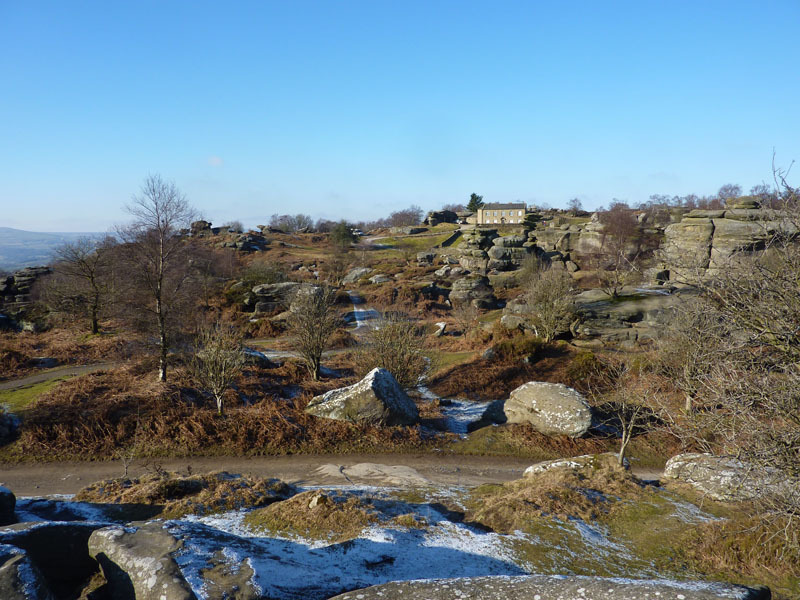 Weather and conditions: Sunny for the first three hours and then clouding over. 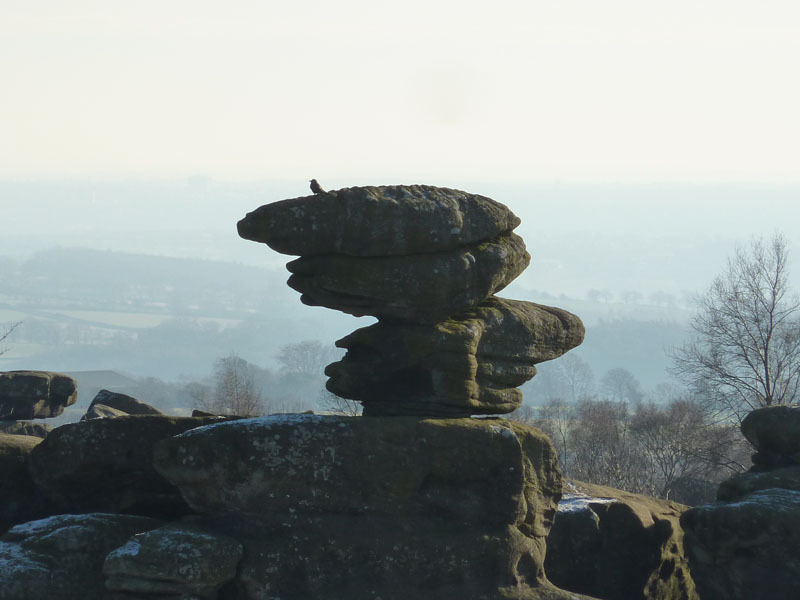 Greetings Count: Quiet up to Brimham Rocks. BR was quite busy and would be more so in the summer when the kiosks and cafe are open. 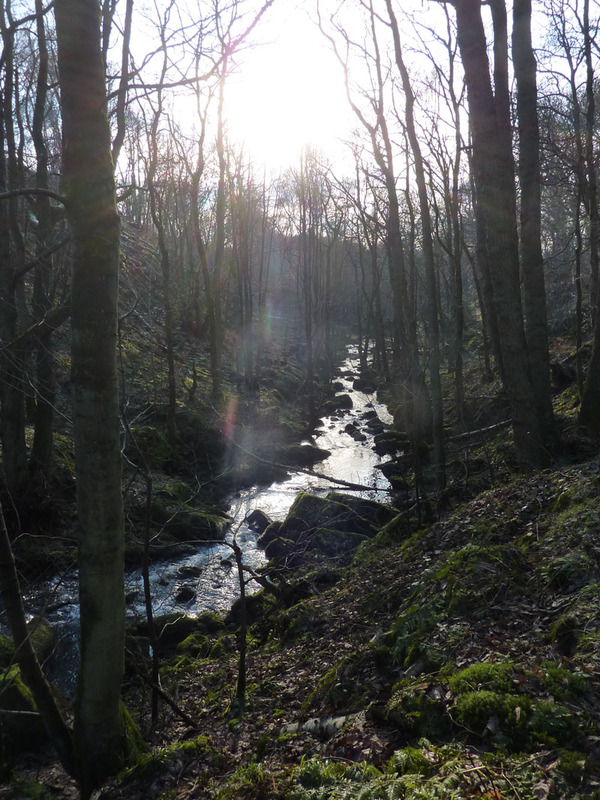 The Nidd offers great walks all around. Richard's Refreshment Review: Beers in The Royal Oak. Proud assasins lined the bar, fresh from their day of pheasant shooting. 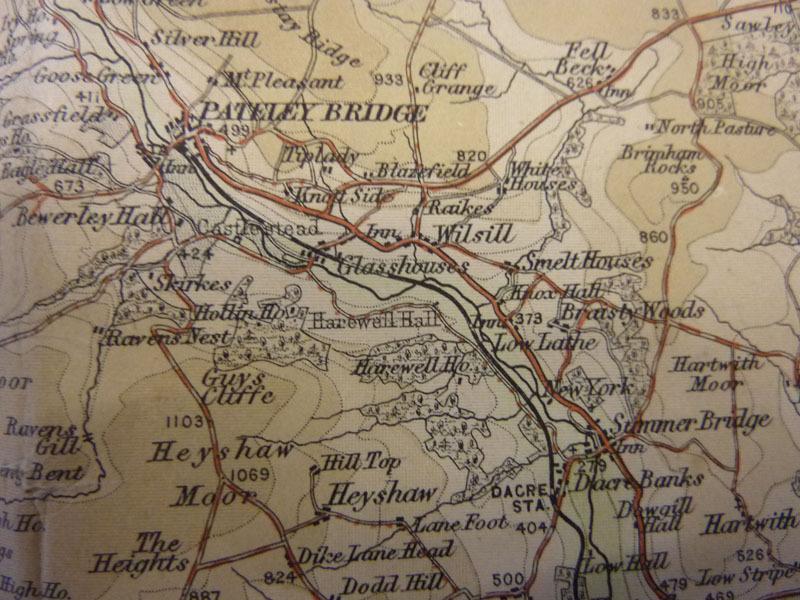 This undated map was found in the office collection. Web research has narrowed the date to about 1911 - it's 100 years old.